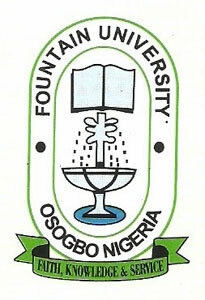 Fountain University, Osogbo Senate has approved the conduct of MAKE-UP Examinations for the 2016/2017 Academic Session for the categories of Student specified below between 25th July and 31st August, 2017. ONLY Students with Senate approval are eligible to write the Make –Up Examinations. This approval was graciously granted after due consideration of requests and appeals from students, either as a result of ill health or other indispositions and issues bordering on late payment of 40% balance of School fees before the commencement second semester examinations for 2016/2017 Academic Session.